A "comedy of Japanese business manners", Fear and Trembling (Stupeur et tremblements) ignores Amélie's life outside work, staying focused on her place in the Yumimoto corporate ecology, on her relationships with colleagues and her interactions with Japanese business psychology and ritual. Much of this relies on or reinforces stereotypes and it is hardly original or adventurous. But Nothomb presents it with verve, with a delicate touch and lively prose, and Fear and Trembling is great fun — and slim enough that it really can be read in a sitting. 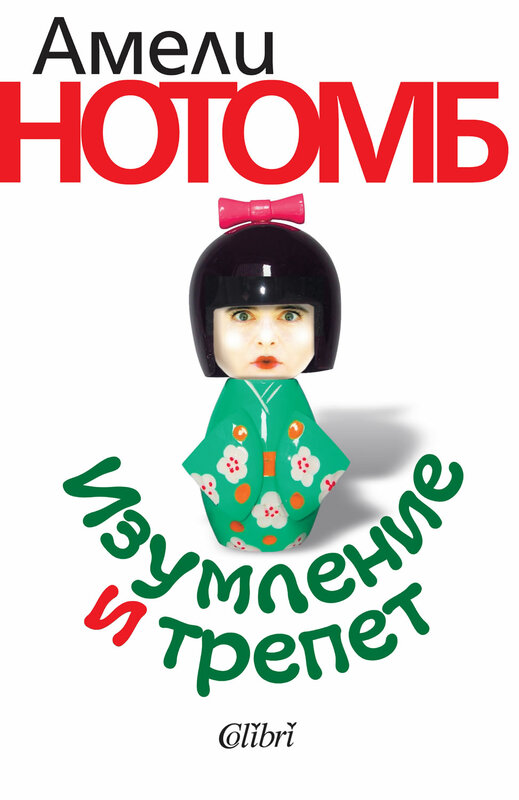 Amélie Nothomb (born August 13, 1967) is a Belgian writer. She was born in Kobe, Japan to Belgian diplomats, before living in China, New York, Bangladesh, Burma, and Laos. Her first novel, "L'higiene de l'assassin" ("Hygiene and the Assassin") was published in 1992. Since then, she has published approximately one novel per year with a.o. "Les Catilinaires" (1995), "Fear and Trembling" (1999) and "Métaphysique des tubes" (published in English as "The Character of Rain") (2000). She was awarded numerous prizes, including the Prix du Roman de L'Academie Francaise; the Prix Rene-Fallet; and twice the Prix Alain Fournier. While in Japan, she attended a local school and learned Japanese. When she was five the family moved to China. "Quitter le Japon fut pour moi un arrachement" ("leaving Japan was a painful experience for me") she writes in "Fear and Trembling". Nothomb moved very often, before discovering Europe, more precisely, Brussels, where she reportedly felt as much a stranger as everywhere else. She studied philology at the Université Libre de Bruxelles. After facing troubles in her family, she returned to Tokyo to work in a big Japanese company. Her experience of this time is told in "Fear and Trembling". Amelie Notomb has already created an annual tradition in the literary world – a much anticipated publishing of a new novel, each year at the same time; this said, it is more than obvious that she has now attracted everybody’s attention. From the pompous premieres of her works in the bookstores of Champs-Elyssees to the pandemic cultural discussions surrounding her work, Amelie Notomb is defined as a contemporary legend. Her complex work of art intertwines cultural analysis, social subjects, and subtle style of writing that mixes together the sophistication of the Far East Asia with the rational sobriety of the Western civilization. A brilliant marketing strategist, an enigmatic figure and a very disciplined aesthete, Amelie Notomb has refocused the public attention towards the beauty of the French-language literature. She now lives and writes in Brussels. She says she writes three novels a year, publishing only one.